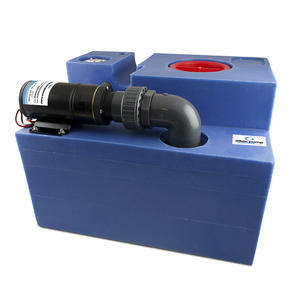 Complete waste water tank kit with pump ready to install. Including a 47L (12,5 G) rectangular tank in reinforced polyethylene, waste water macerator pump 12V, gas vent, active carbon filter, control panel and probe for level control. Linear low density polyethylene is the best suited material for holding tanks because of resistance to corrosion and odor permeation.